Professor Peter Kündig graduated from the Federal Institute of Technology (ETH) in Zurich in 1971 and in the same year moved to the University of Toronto where he received his PhD in Chemistry in 1975 (G.A.S. Ozin). Following a postdoctoral stay at the University of Bristol (P. Timms), he started his own research at the University of Geneva, focusing on synthetic and mechanistic organometallic chemistry and on metal mediated and catalyzed reactions in organic synthesis. He was a member of Executive Board of EuCheMS (2000-2006), and a member of the Editorial Board of Chemical Communications (chair 2008-2011), and is on the Advisory Boards of several international journals and is a Board Member of the Verlag Helvetica Chimica Acta. 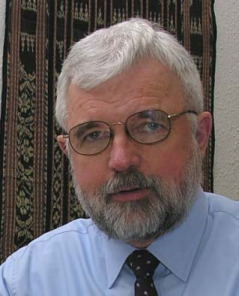 In 2005 he was chair of OMCOS 13 (Geneva), in 2006 he was scientific program chair for the 1st European Chemistry Congress of EuCheMS (Budapest), and in 2010 he was president of the Burgenstock conference. He occupied the position of chair of the School of chemistry and biochemistry of the University of Geneva (2000-2006), was a member of the Platform Chemistry of the Swiss Academy of Sciences and president of the Swiss Chemical Society (2010-2015).